There are some types of photocopies and printers available in Indonesia today. From those range of products, Fuji Xerox is still becoming the best photocopy machine producer and the most popular printer for office segment and photocopy business. This is because the manufacturer is able to design a printer which can produce high-quality printing results. This machine can be found in the trusted Indonesian Fuji Xerox Distributor. This is the place to buy and sell all types of photocopy machines and printers you need most. 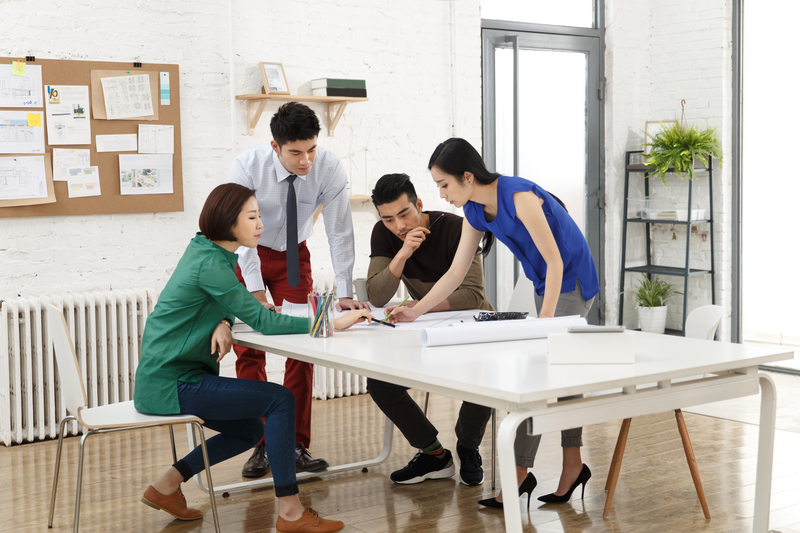 Commonly, Fuji Xerox machine is designed for office instead of for business, especially small business (SME) and enterprise. Printing activities starting from copy, print, and scan can now be done with 1 (one) multifunctional photocopy machine. With the intense activity of printing, especially in certain departments, photocopy machine users certainly need a prime multifunction photocopy machine, which is always ready whenever needed. To maintain the condition of the photocopy machine to be excellent, we have to make sure that the consumables and spare parts must also be original. The selling process of Fuji Xerox machine from the distributor has used the concept of the end-to-end solution and adapts to customer needs. What is it? It is a concept which serves you a Fuji Xerox machine along with additional features in the standard parts. It means you have to add more spare parts or features based on your need. There are some standard features included on the Fuji Xerox multifunction machine such as copy, scan, and print. On the other hand, the available part of this machine is DADF and a single shelve. You can add some features such as fax, four shelves, and many more. Although this machine is offered at the expensive price, the result is better, real, and sharper than any other brands. This statement is supported by the trusted Indonesian Fuji Xerox distributor. The standard Fuji Xerox copy machine parts that can be obtained are machine tools, DADF, and paper trays (tray). DADF stands for Duplex Automatic Document Feeder which is the top part of the photocopy machine and serves to scan documents that you want to copy or scan. Some copy brands sell their machines without DADF, the Platen. The disadvantage with this platen is that if the original document is two sides, the user has to do it back and forth manually. Whereas with the DADF, the original document back and forth will automatically be done by a copy machine. 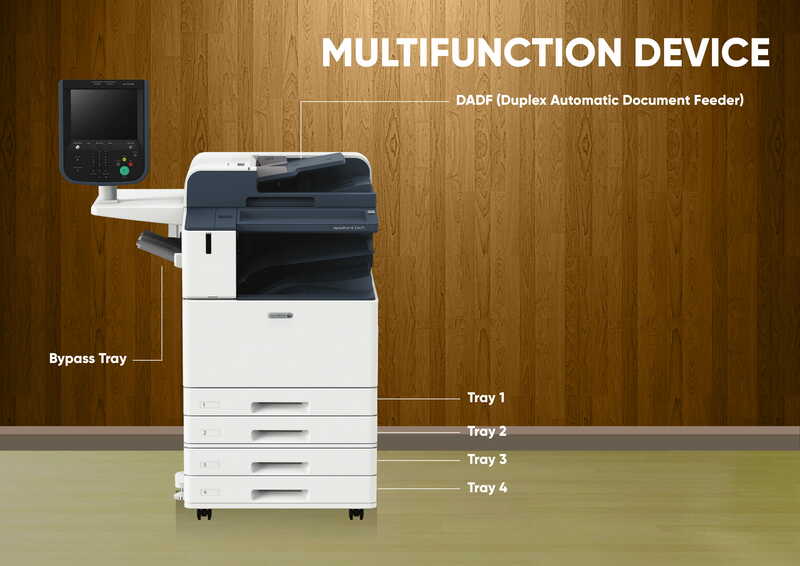 Currently, all Fuji Xerox multifunction photocopiers that are marketed through official distributors are standard with DADF. For the paper tray (standard), the standard provided by Fuji Xerox photocopying machines, from 1 tray to 4 trays, depends on the type of machine. The Fuji Xerox color machine standard already has 4 trays and users can justify starting from A4 to A3 plus paper. All Fuji Xerox photocopiers have also provided additional trays which are usually on the side of the machine, we call it the bypass tray which is useful for doing print jobs with customizations such as nonstandard size and weight of paper. The Fuji Xerox machine distributors stated that a lot of offices love to buy Fuji Xerox machine than the other brands. Besides the satisfaction result, the machine is durable, high-quality, and long-lasting. You don’t have to face paper jam or error problems while using this photocopy machine. There are some photocopy machines and printers offered by the Fuji Xerox distributor such as Fuji Xerox DocuCentre S2520, Fuji Xerox Docucentre V 2060, Fuji Xerox DocuCentre VI C3371, and many more. Fuji Xerox is a manufacturer of photocopy and printer machine. Fuji Xerox is commonly used to support document duplication and printing activity. The quality of this machine is great and offered at a reasonable price and the same with the quality of the product. There are some types of machines along with a variety of sizes and models. The different is on the speed which this machine is faster than the other two printing and copy machines above. The type of printing copy machine can be chosen based on your need and budget. One of the tendencies of customers when about to buy a printer machine is not knowing the advantages as well as the fundamental difference of the type of printer to be purchased. Most will only look at the economic and practical aspects.